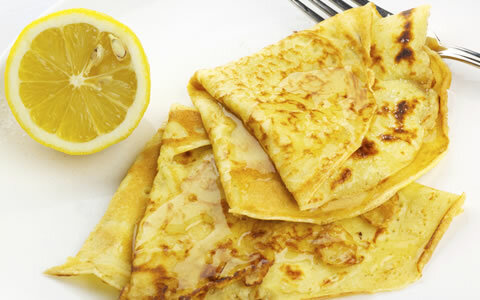 Want to know how to make pancakes from scratch? This recipe we have used for years and makes the tastiest pancakes. From the time my son was 8, he was making these pancakes himself. Easy to follow recipe will have you making pancakes from scratch from now on. It is quicker than "mixes" and soooooooooo tasty. Here ya go on how to make pancakes from scratch. Extra butter for pan to cook. Mix flour, milk egg and salt in bowl, stir in melted butter and allow to sit for few minutes. Heat pancake pan with knob of butter melted covering the base, when hot, pour in some pancake mix allow to spread out. When underneath is cooked turn the pancake, When cooked turn on to plate, add lemon and sugar, nutella, or what ever you like on your pancakes.. Melt knob of butter and repeat till the pancake mixture is gone.